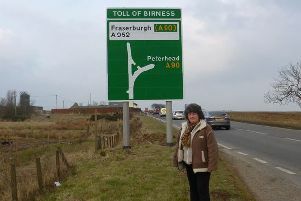 Aberdeenshire East MSP Gillian Martin has called for the Scottish Government to install a roundabout at the Toll of Birness junction after a number of collisions in recent weeks. Ms Martin has written to the recently appointed Cabinet Secretary for Transport, Infrastructure and Connectivity Michael Matheson. It comes after emergency services were called to the scene after a crash on the A90 Aberdeen to Peterhead road near to the Toll of Birness junction earlier this month. Ms Martin had previously written to the Cabinet Secretary Keith Brown about the issue. In the letter, she said: “My request at the time was that consideration was given to the installation of a roundabout at this junction, due to significant road concerns raised by my constituents. “I was informed that there have been a number of safety measures introduced in the last financial year, and that monitoring of this location will be included as part of the road safety annual review. Earlier this year, options were heard by members of the Formartine area committee who were informed about the latest Fraserburgh, Peterhead and Ellon to Aberdeen Strategic Transport Study. Options at the time included a rail link for Ellon and the dualling of the A90 at the Toll of Birness. 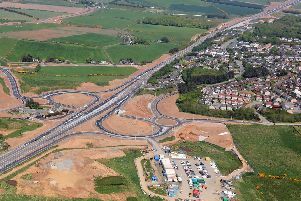 Commenting on the issue Aberdeenshire East MSP, Gillian Martin, said: “For too long, the A90/A952 junction has been a risk to drivers. “There have been a number of accidents since I became MSP for the constituency. “It is time to take a proper look again at the installation of a roundabout which could help prevent more accidents from occurring.